The addition of the motor takes the Mountain Trike to the next level. I've gotta tell you how impressed with the eTrike I am - had such fun test riding it. 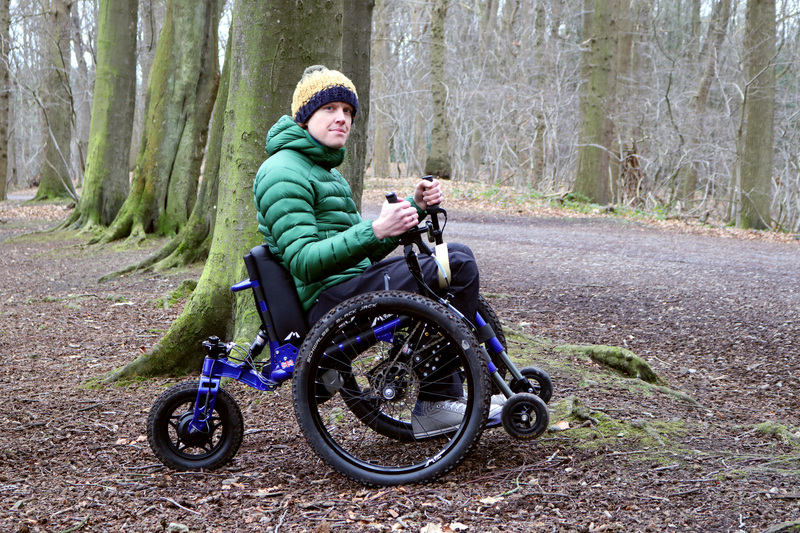 It has proven itself as an off-road chair, but it is now so much more capable, the user becomes much more capable. I want to be the first customer - bring on the hills! Tim Mabon test rides the eTrike. Watch out hills - Tim is coming to get you!